Want a bit of geek fashion in your wardrobe, but don’t have the time to make your own outfit? Pick up this fun tank from 80stees.com. The cape is removable, just in case you want a more incognito look. Wonder Woman not your thing? Pick up the Batgirl or Supergirl tank. 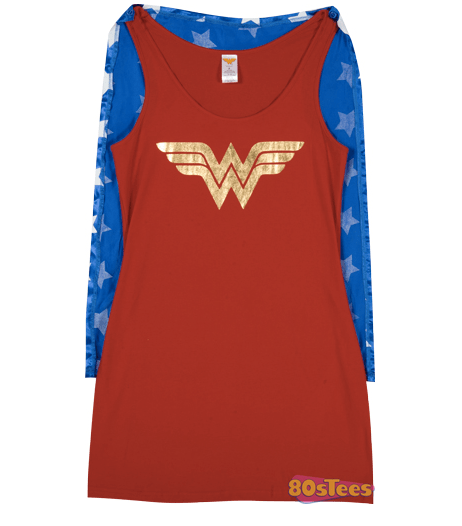 Caped Tanks, $35 at 80stees.com. Contest: Comic Recipe Cards from justJENN Designs!